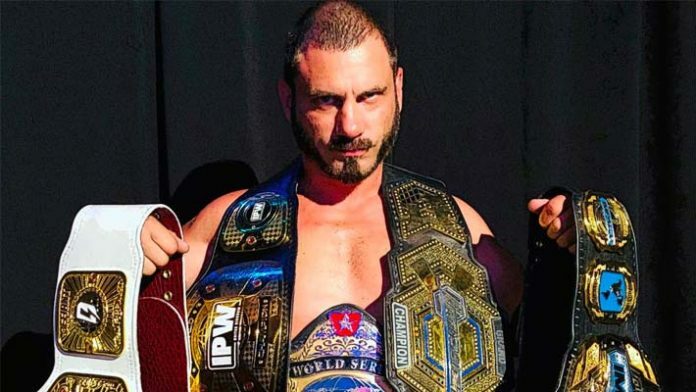 Austin Aries Gives Advice To WWE Superstars Who Are "Spinning Their Wheels"
Austin Aries will defend his Impact World Championship tonight against Moose. Aries returned to the company this year and promptly won the World Title shortly after. In the half-year since Aries has been back in Impact, he has sung the praises of the new management team of Don Callis and Scott D’Amore. On a recent Impact Wrestling media call, Aries suggested that the promotion provides a platform for wrestlers to be successful. $75, @DeAngeloRB? You cost me 10x that in fantasy football with your end of the game, week 16 fumble in 2015. As for you wanting to watch me wrestle a local party clown….why don’t you and your daughter just use that $75 and order #SlamXVI? Aries also noted that the WWE roster is very large. There are only so many high-profile spots to go around, however, and some wrestlers might find there are more opportunities available to them outside the company. Slammiversary takes place tonight at 8 pm from the Rebel Nightclub Complex in Toronto, ON, Canada. The event will live on pay-per-view, available on the FITE app.